With over 30 years experience Wold Skip Hire Ltd offer fast, friendly and economical local skip hire and waste recycling services. We understand the importance of efficiency and reliability and keep up to date with the most environmentally friendly methods available to us. We are conveniently located in Newport, Brough and Gibson Lane, Melton, which gives each location easy access to M62 & A63. With our vast fleet of vehicles and NVQ Level 2 trained drivers we are able to deliver at your convenience. Our fleet also includes Flatbeds and Trailers for all types of haulage, plant, moving, skip transport and general haulage. Our Skips are available for delivery, exchange or collection at your convenience, as quickly as the same day if required. To make the process as simple as possible our skips can be dropped at almost any location as long as it is accessible and does not block any entrance, exits or disrupt traffic movement. 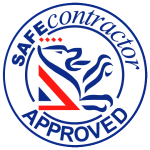 We are licensed carriers of specialist waste, such as Asbestos and can provide top soil or other aggregates. Our prices are very competitive and is dependant on the size of the skip and the type of waste being put into it. Where possible as much waste that can be physically recycled is done so using a state of the art transfer station. The waste is sorted into six different products, all of which can be recycled. Only a very minimal amount (approximately 5%) is landfilled. Wood is shredded to make both compost and a material that goes towards making chipboard.